Living room: With open fire, 32" Freeview Smart TV and bluetooth speaker. Kitchen/dining room: With electric oven, electric hob, microwave, fridge/freezer and washing machine. Bathroom: With shower over bath, and toilet.. Economy 7 heating, electricity, bed linen, towels and Wi-Fi included. Initial fuel for open fire included. Travel cot available on request. Welcome pack. . Sitting-out area with garden furniture. Bike store. Private parking for 2 cars. No smoking.. Abbotts Close Cottage is a semi-detached cottage which is part of an old farmhouse that has been modernized and totally refurbished to a good standard. Situated on a working farm there are two comfortable bedrooms with views out into the stunning countryside, a modern bathroom and a well-equipped kitchen/dining room. The living room looks out over the farmer’s fields, home to Wagyu cross cows, and across to the natural beauty of the North York Moors National Park. The pretty village of Sutton-under-Whitestonecliffe is just a short walk away with a 300 year old traditional inn, or head to the top of Sutton Bank and enjoy the visitor centre. Famous vet and author, James Herriot, claimed the views from Sutton Bank over the Vale of York and Vale of Mowbray are the ‘Finest in England’. The National Park Visitor Centre has an adventure play area, a tea room and some fantastic cycling and walking routes. You can even walk to the Kildale White Horse, one of the most famous landmarks in the north. Head onto the Cleveland Way where you can follow the path towards Whitestone Cliff for fantastic views of Lake Gormire, and across the Vale of Mowbray to the distant Pennines just visible in the distance. The mysterious Lake Gormire is tucked away in dense woodland below Sutton Bank, and is one of only two natural lakes in the county, created by meltwater at the end of the last Ice Age and accessible only on foot. No water can be seen flowing either into or out of it, keeping it at a steady level. The theory is that it’s fed by an underground spring and drained through a channel in the limestone below. The myth is that there is a hidden city at the bottom. 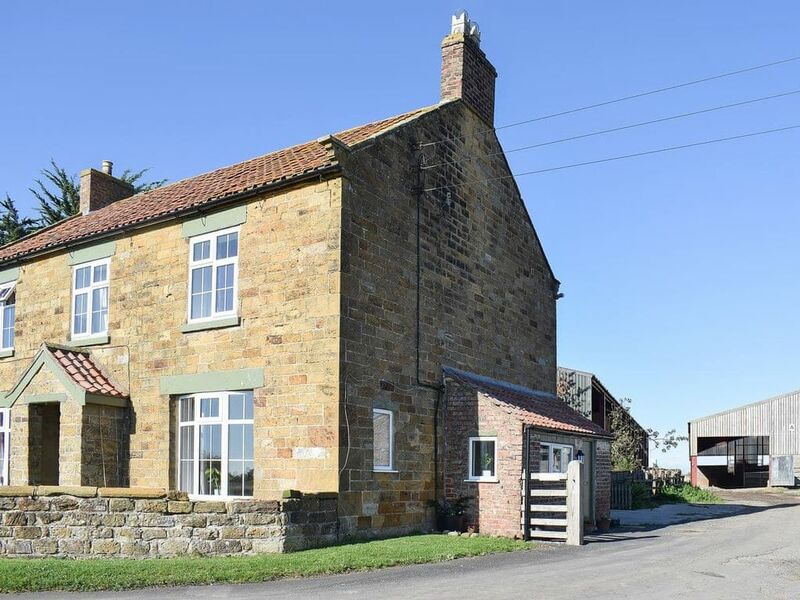 Abbotts Close Cottage is just 2¾ miles from the historic market town of Thirsk with many coffee shops, traditional pubs and fantastic restaurants which skirt the cobbled market square as well as the James Herriot museum. There are museums, the ancient church of St Mary, quirky antique shops for lovers of history and Thirsk Races for the those fancying a flutter. Walkers and cyclist will be spoilt for choice in this beautiful part of the world and the Tour De Yorkshire passes the end of the cottage driveway most years. There are many picturesque villages to explore such as Helmsley and Malton or venture further afield and into the Yorkshire Dales National Park, the walled city of York, Ripon and Harrogate. Shop 2 miles, pub and restaurant ½ mile.